Crafted in vibrant 9ct white gold, this sleek ring features a diamond that will sparkle with every move. Capture their heart forever with this beautiful token of eternal love. 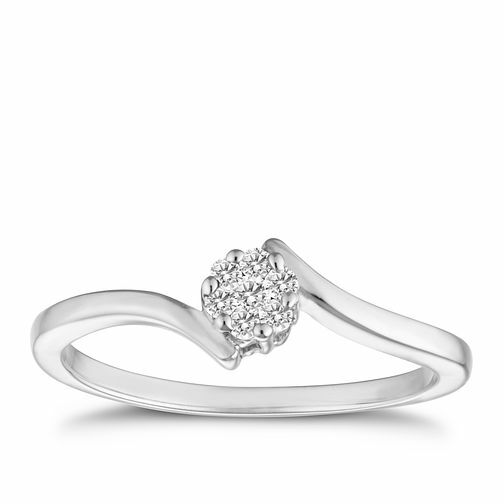 A curvy diamond ring that will look great with any outfit. 9ct white gold 1/10ct diamond ring is rated 4.8 out of 5 by 13. Rated 5 out of 5 by Anonymous from My Now Fiancé Loves It The ring is amazing she totally loves it and is exceptionally sparkly! Couldn't be happier!